You are here: Home / Reviews / The JURA Coffee Machines… Make The Perfect Cup Every Time! “I need a cup of coffee before we go,” my dad pleaded with me as I grabbed the keys off the kitchen table. If there’s anything I inherited from him, it’s his need to have a cup before doing just about anything. “I’ll make one, too,” I said. Like father, like son. But here’s the problem, and I bet it’s one that many of us can relate to. As we approached our countertop, two worlds collided. My dad, valuing ease and simplicity, placed a scoop of instant coffee into his pod brewer, pressed the start button, and left to put on his shoes. I, on the other hand, refusing to settle for anything but a high-quality specialty drink, embarked on a process that your friends might call “pretentious,” depending on who they are. First, I turned on my espresso machine to heat it up after filling it with water that I had dubiously purified and left in the fridge. Next, I spent a few minutes hand-grinding freshly roasted beans from my local roaster. With an aching hand, I stamped with my best guess at 30 pounds of pressure, locked in the portafilter, which is the component that holds the ground espresso beans (Read: The Quest for The Perfect Coffee Beans), and carefully watched for two ounces of espresso to come out in 25 seconds. Observing a satisfactory crema on the coffee, I filled a stainless steel jug with a barista blend almond milk, steamed it for a few seconds before burning my hand, and poured the latte art — a tulip that turned into something more like an abstract painting due to my lack of frothing skills. The final results demonstrate the problem that most of us have. My dad ended up with a subpar cup of “coffee,” though the process was easy and fast. I had a great specialty drink, but I labored for ten times longer and had a mess to clean just for one cup. And now we were late! For those of us who want a cafe experience at home, we often sacrifice one for the other. Either we settle for lower-quality coffee drinks for the sake of ease, or we invest a lot of time and money into brewing a cup that we’re happy with. What if you could have a barista-quality specialty drink with one touch of a button, in under 60 seconds, and in the convenience of your own home? Now you can. There’s no shortage of coffee equipment on the market today, but one company is striving to be the best of the best among those producing automatic coffee machines. 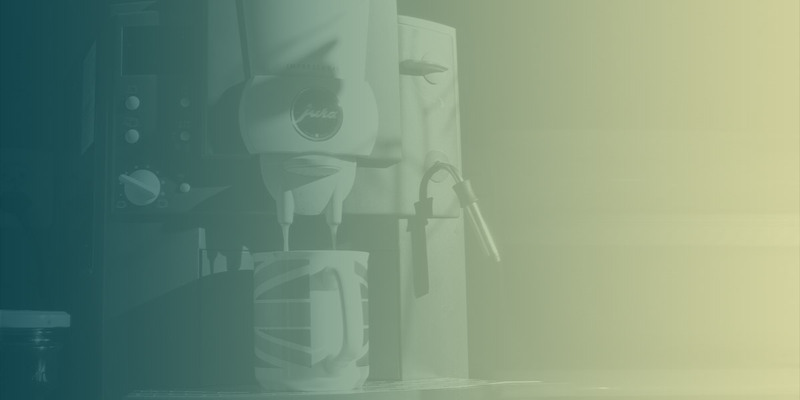 JURA, a Swiss company with a quickly-developing international presence, crafts state-of-the-art, fully automatic machines that should be the go-to for those who won’t settle for anything but the highest quality specialty coffee drinks. You might have heard the name JURA before. They’ve been around since 1931 when they started supplying high-end household appliances that combine form and function without compromising on either. It’s also the name of a mountain range in Switzerland, where the company’s headquarter in the city of Niederbuchsiten is settled. Its association with magnificent landscapes is no coincidence. this company puts magnificence at the heart of everything they do. Now JURA focuses 100% of their efforts on creating fully automatic coffee machines with awe-inspiring design and unbelievable features. In fact, the company has won dozens of design and innovation awards from all around the globe. “Innovation, precision, quality, reliability, sustainability and service shape the DNA of JURA.” their company portrait reads. One glance at any of their products makes it hard to doubt. That’s only one easy minute to do what can typically take ten or more labor-intensive minutes, depending on how much you like cleaning up after yourself. You don’t even need to be at the machine to operate it. JURA’s “Smart Connect” app allows you to control the brew via Bluetooth from your phone or tablet. Unique settings for multiple users or individual drink preferences can be saved with original names and display images. Tailor the specialty beverage type, coffee strength, brew temperature, amount of milk foam, and more to perfection by simply touching an icon on your mobile device’s home screen. Imagine having your own personal barista to remember your preferences and make the perfect cup every time. That’s what a one of these machines will give you. JURA’s fully automatic machines are more elegant and more powerful than any others on the market today. You don’t have to leave the house and empty your wallet every morning to get the perfect cup of coffee, and you certainly don’t have to do everything by hand. By offering café-quality specialty beverages at the touch of the button, these machines are a luxury that you will keep around for years to come. Does a JURA coffee machine sound like a good investment for you? If you’re looking for the best specialty coffee drinks at the touch of a button, then it just might be. Not sure which one to buy? Check out the ten best JURA Coffee machines on the market today.